Attending Carnival in Rio de Janeiro is a dream journey for many people. This is due to the extravagance and craziness that a trip to Rio will bring along with the carnival itself. 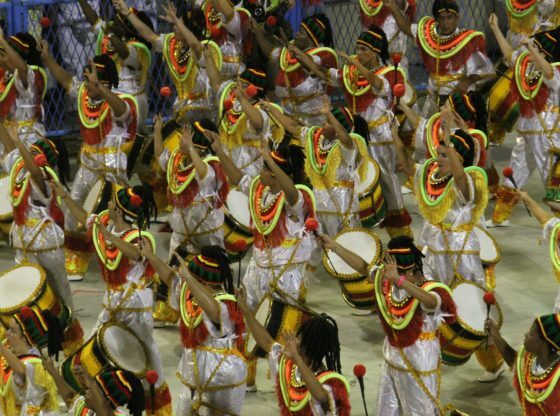 People aim to see the Samba schools compete, enjoy the nightlife and discover one of the unique cities in the world. There are a lot of factors to think about when planning a trip to Rio and carnival. Much of this can be applied to a trip there any time of the year but it is especially important during carnival time as the city becomes one big party location which can obviously affect several factors around the city. Let’s look at a few things to consider when attending the carnival. During the carnival, you will be doing a lot and I mean a lot of walking. Moving about the city by cabs or Uber will be very difficult due to many parties resulting in street closures and delays. Certain areas such as Lapa will contain many of the parties and events, so you will discover these easier by foot. Also, many of the Bloco parties move, so you are encouraged to follow them while also dancing, meaning you will get plenty of exercise while you wander around the city from event to event. Uber or the metro are the best and cheapest options for getting to further locations in the city, though expect large crowds and delays. Try to have your destination planned and coordinated with friends so it’s easier to meet up and explore the city. This is one area of much concern to visitors of the city, due to its reputation and continued stories in the press. Rio has security and crime issues some of which peak during carnival due to the massive influx of tourists to the city, becoming easy targets for criminals. The size of the events also increases the chance of an incident occurring. However, there are many things you can do to prevent any negative experiences. Leave all unnecessary valuables at your accommodation, if you must carry anything place it in a concealed bag. Always travel in groups especially at night. These precautions will help prevent any incidents as they would in any other country. Most importantly use common sense. I highly encourage you to leave a week either before or after carnival to see the main sights of Rio. Many will be closed or hard to get to during carnival and the hassle will be much more than it needs to be if you have spare time to do it afterwards. You will most likely spend time in Copacabana and the beach areas during carnival so these at least can be ticked off your list. The sights are worth the wait so it’s better to do it during hassle free periods.